Since 1935, Big Blue Bug Solutions has been providing pest control for Attleboro, MA, and many other surrounding communities. With extensive knowledge and experience to handle all of your pest control issues, Big Blue Bug Solutions is proud to be New England’s leading pest control company. With services to get rid of mice, termites, cockroaches, ants and many other pests, no matter how severe your pest problem may be, do not hesitate to contact the Attleboro pest control pros. We now offer pest control insulation which not only protects your household from pest infestations, but can also save you money on utility bills as well by creating a well insulated home. This particular type of building insulation is made from natural fibers infused with borates which are essentially poisonous to insects but safe to have in the home. It will protect your home from insects such as cockroaches, termites, carpenter ants and other unwanted pests. Our pest control insulation can be added to existing insulation or used to insulate a new building. In addition to preventing unwanted pests from infesting your home, our pest control insulation is a better option for the environment too. It is made from primarily recycled materials and leaves a much smaller carbon footprint than other insulation options. You will also have the added benefit of noise control to block out outside traffic, barking dogs, etc. Another benefit of pest control insulation is to keep your entire home more comfortable by containing the heat during the winter and the air conditioning during the summer. No matter how extreme the outside temperatures may be, your home will stay at a comfortable temperature and use less heating fuel and air conditioning thus saving you money on utility bills. 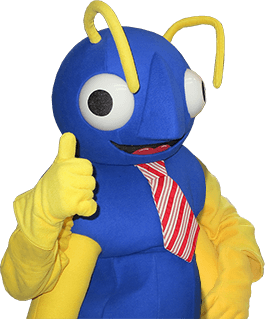 So, if you live or own a business in the Attleboro, MA, please contact Big Blue Bug Solutions today to learn about all of your options for a pest free home and business.